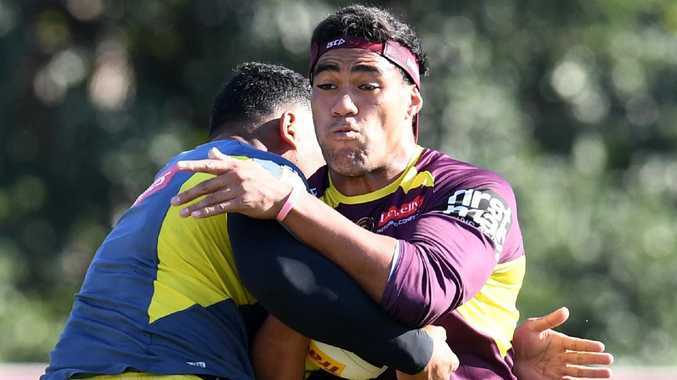 PASSIONATE Tongan Tevita Pangai says he has no problem with Brisbane NRL teammate Joe Ofahengaue turning his back on the Mate Ma'a and switching allegiance to Queensland. And after hearing Pangai's description of Andrew Fifita's mentoring style in the Tongan team, it might be for the best for young gun Ofahengaue. Broncos forward Ofahengaue is in line to be picked for Tonga's one-off Pacific Test against Samoa on June 23 at Sydney's Campbelltown Stadium, but says he will opt for the Maroons if coach Kevin Walters comes knocking. 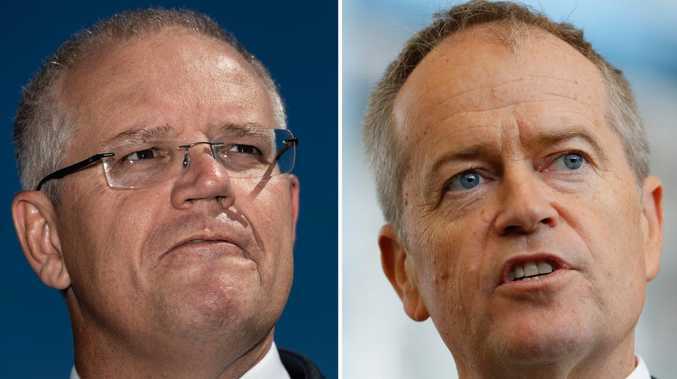 Ofahengaue is considered a bench chance for Queensland, which plays its must-win second State of Origin game on June 24 in Sydney - the same weekend as the Pacific Test. Pangai said he had no regrets over knocking back NSW overtures before Origin I and sticking with Tonga, but had no issue with Ofahengaue's stance. Joe Ofahengaue during a Queensland State of Origin team training session ahead of game one. "Everyone is different. He (Ofahengaue) is an Ipswich boy through and through," Pangai said. "I don't blame him for wanting to play for Queensland. Thirty grand and putting on that jersey is pretty hard to say no to." Pangai said it would be a shame not to see Ofahengaue in Tongan colours again after they featured in the Mate Ma'a's remarkable surge to the 2017 Rugby League World Cup semi-finals. But it seems Ofahengaue might have dodged a bullet, judging by Pangai's recollection of their last Tongan camp. Pangai joked that the only thing Cronulla star Fifita taught him during the Cup campaign was "bad habits". "He taught me you don't have to prepare well to play a good game of football," he said with a laugh. "But no, he's good to have around the boys. He's funny and competes when it comes to game day. "I can't wait to get into camp with him again." Pangai was tipped to play in a new-look Blues pack in Origin I, before opting to play the Pacific Test. He didn't have any second thoughts as NSW won game one 22-12 at the MCG - probably because he was asleep for half of it. "I fell asleep at half-time. I was knackered, but I heard it was a good game," Pangai said. "Playing in front of 90,000 fans is the pinnacle of our sport but, to be honest, I feel like I have made the right decision (turning his back on NSW)." Pangai hopes to warm up for his Tongan campaign by leading Brisbane to victory over Fifita's Sharks in Saturday night's clash. "I just want to get one over big Andrew and give it to him all week in camp - that would be good," Pangai said with a laugh.